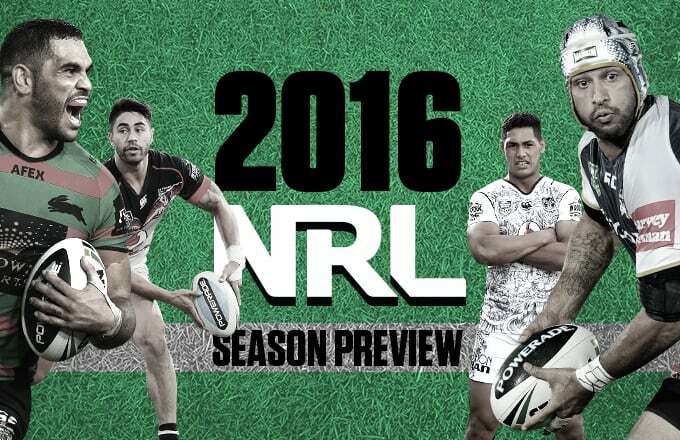 NRL season 2015 was one of the best in recent memory. A tightly-contested season, the cream rising to the top during three weeks of finals, and the greatest Grand Final of all time to complete an amazing year of rugby league. In 2016, NRL sees the return of an adopted son in Sam Burgess, a huge cloud looming large over the teflon Roosters, and a tornado brewing across the Tasman; as forces of nature Roger Tuivasa-Sheck and Isaac Luke don black jerseys alongside the lightning-quick Shaun Johnson and Thomas Leuluai. Closer to home, the Sharks might not have Willie Beamen to offset ageing veterans, but are confident James Maloney and Chad Townsend will add necessary new dimensions to their attack, alongside dangerous strike weapons Wade Graham, Valentine Holmes and Jack Bird. The Storm are set to manoeuvre their way to the top four position they’re so accustomed to gripping, and the Eels have assembled a track team ready to run any and all opponents off Pirtek Stadium. Waiting for them in September will be the symbols of northern supremacy, the Cowboys and Broncos. It’s about to be lit fam, and we haven’t even mentioned Origin. See what NRL 2016 has in store for your team, with Complex league fans Steve and Tyther, and special comments from Triple J Hip-Hop Show host/Australian hip-hop legend, Hau Latukefu.